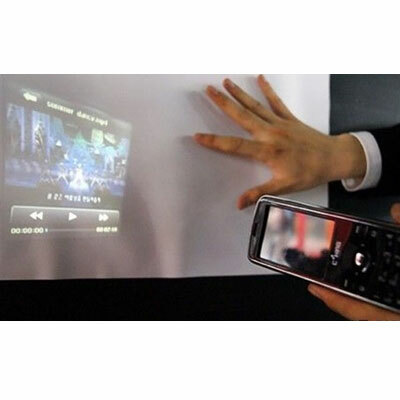 Hmmm, a projecting phone sounds very much a part of the future, don’t you think? 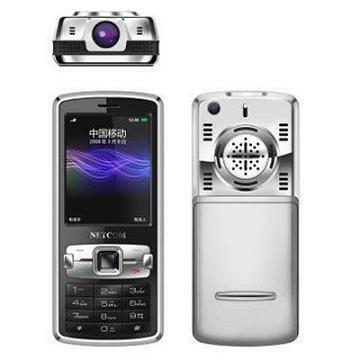 Although, when you think about the number of mini projectors out there, some of which are as small two by four inches (possibly smaller) and the advancement of phones in today’s mobile world and it doesn’t seem so ahead of its time. So when you’re not blabbing away about the latest episode of Eastenders or the latest office gossip, you get to throw images against a flat surface for your viewing pleasure – across 64-inches across to be precise – courtesy of Logic Wireless. There’s no high definition in place (but I bet someone some where is working on it as I type) and the handset isn’t exactly a beaut, but it’s sufficient enough to garner no complaints from me and there’s a 3 megapixel camera, GPS and a touchscreen to use when the need to natter and project is non-existent. There’s also an input to enjoy multimedia that’s not trapped in the realms of your phone. The Logic Bolt is one of the many great gadgets we’re (well not me, I’m still in London *sad face*) lined up to see at CES this year. We’ll be seeing this phone and projector collaboration sometime this year when it’ll be available exclusively to T-Mobile in the US (figures) for $100 USD with a two year contract and $600 USD SIM free.